Silverlight is a free plug-in, powered by the .NET framework for creating engaging, interactive user experiences for Web and mobile applications. Silverlight was discontinued and HTML5 is the way ahead. So far, we have published 102 Silverlight 2, 3, 4 and 5 tutorials and articles, which have been read by over 5023128 (Five Million Twenty Three Thousand One Hundred Twenty Eight) developers and architects. Abstract: In this article we will see how to encode video files and add Markers and Thumbnails using Microsoft Expression Encoder 4.0. After encoding the media, we will use it an ASP.NET web site. Abstract: The advantage of WCF Data Services is that any client application can now make a call to the WCF services and interact with the SharePoint object model. It is not necessary for the end-user to directly log-in to the SharePoint Web Site application and work on it. WCF Data Services provided in SharePoint 2010 helps to implement integration based application with other client applications. Abstract: Microsoft Excel is a popular product and it’s very common for end-users to expect a similar experience in any grid like control they use. The same goes for the Silverlight DataGrid where users expect a similar experience when it comes to filtering records. In this article, to create an excel filtering like experience in a Silverlight DataGrid, I am using a ControlTemplate using which you can add any kind of a UI element like the ComboxBox in the header. Abstract: In this link list, I plan to share 70 Silverlight Tutorials written by authors of DotNetCurry and DevCurry that should be helpful for every Silverlight developer out there. Abstract: In this article, we will see how to run an Elevated Trust Application within the Browser using Silverlight 5 Beta. For this demonstration, we will first create a Silverlight application by using Visual Studio 2010 with Silverlight Version 5. Abstract: With the support for Prism 4 and the growing popularity of Silverlight 4 for line-of-business application development, there is a lot of buzz amongst developers to use the new features these technologies has to offer. So for example, I have observed that the demand for providing a simple and more interactive UX for developing DML UI using DataGrid is increasing. In this article, we will cover just that. I have explained the mechanism for performing CRUD operations using the Silverlight 4 DataGrid and have used SL 4, Prism 4 and WCF 4.0, along with DataGrid Custom behavior. Silverlight 5 Beta: What’s New? 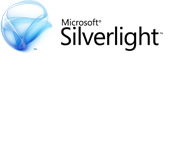 Abstract: Silverlight 5 Beta was announced recently by Microsoft. In this article, we will see some of the new features introduced in Silverlight 5 Beta. Abstract: Silverlight 4 support for audio capture devices and video capture devices (Webcam), has opened up a new range of possibilities like recording, snapshot etc. In this short article, we will see how simple it is to use a Webcam in Silverlight 4. Abstract: Prior to Silverlight 4, implementing paging in an application would require the developer to create controls, that would allow the user to move from one page to another. With the introduction of DataPager control in Silverlight 4, this task has become much simpler. Let us see how. Abstract: In this article, we will see how to align the text to a given path using a ‘PathListBox’ control, in Silverlight 4.0. We will also see how to animate the text using Visual states in Silverlight. Abstract: In this article, I will introduce you to Behaviors in Silverlight. We will also create a small demo of the ‘MouseDragElementBehavior’ behavior using Expression Blend 4. So, let’s get started. Abstract: In this article, we will see how Silverlight 4.0 and Expression Blend SketchFlow helps in designing deep dive prototypes for a product. Abstract: In this article we will see how to load a CSV file (Comma Separated File) into a Silverlight 4 DataGrid control. Abstract: In this article, I will demonstrate how to localize a Silverlight 4 application. In simple words, localization is the customization of applications for a given culture or locale. Abstract: In this article, we will how to use DelegateCommand for implementing loosely coupled applications in Silverlight 4 using Prism 4. Abstract: In the article, we will see how to use Prism in Silverlight by creating a sample application. Prism is a guidance designed and developed by Microsoft which helps in designing and building WPF and Silverlight client applications, which are easy and flexible to maintain. Abstract: WCF has provided many benefits for developing secure, scalable distributed applications. One of the nice features of WCF service security is its integration with ASP.NET Membership provider. Using this provider, a caller can be authenticated by the WCF service against the user credentials stored in the SQL Server ASPNETDB database. In this article, we will see how a Silverlight client caller can be authenticated against the WCF service using this membership provider. Abstract: This article contains a Silverlight FAQ (Frequently asked questions) to help those who are new to Silverlight or plan to get started with Silverlight. Abstract: In this article, we will see how to create a sample LOB application using Silverlight 4.0. We will see how different application layers in Silverlight 4.0 can be isolated from each other. Since the UI is not associated with any compiled code, even if a layer is changed, it does not require any recompilation of the UI. Abstract: In this article, we will explore the mechanism of communicating with the local SQL Database using the out-of-browser features of Silverlight 4.0 with elevated trust permissions. Abstract: In this article, we will explore WCF Security for authorization and authentication. Abstract: Most of the times, when you develop an application that communicates to a service-oriented solution (like WCF services), it becomes necessary that the service must have some mechanism for authenticating the user, who is making a call to the service. Abstract: Silverlight 4 being a technology for Line-Of-Business (LOB) application has provided lots of features to developers. One of the nice features is implementing value converters. Abstract: There have been several new features in Silverlight 4.0 which we have been discussing in the previous articles. One of the Silverlight 4.0 features you should know is COM programming capabilities. Abstract: In this article, we will see how to perform Insert, Update and Delete operations in the Silverlight DataGrid. Abstract: In this article, we will see how to consume the Netflix OData service and display data in a Silverlight DataGrid control. Abstract: A common issue that I hear from my clients regarding data representation in Silverlight ItemsControls is that while fetching data from service and displaying in a DataGrid, some data values (especially string) are sometimes Null and also some numeric values need to be represented in a currency format. Abstract: Silverlight 4.0 has several new features and it has been listed down well over here. One of the most exciting features of Silverlight 4.0, is its capability for building Line-of-Business (LOB) applications. Abstract: In this article, I will demonstrate how to make a Web request to an external service using the Network Authentication feature . This mechanism helps making call to external services from the Silverlight 4.0 client by using the credentials, as demanded by the service. Abstract: In my previous article, Silverlight 4 – Using Commanding Feature to Fetch data from a WCF 4.0 service, we explored the new commanding support provided to Silverlight 4.0 applications and how commanding provides easy and flexible code-less development mechanism. In this article, we will explore how to use the Commanding Parameters to perform DML Operations (Insert). Abstract: Command is a class that supports the ICommand interface and lets you data bind specific operations in your application. In Silverlight 4, there is a new pair of properties added to the ButtonBase and Hyperlink classes named Command and CommandParameter that lets you do so. Abstract: Silverlight is now used for developing LOB applications where the requirement is to develop loosely coupled browser based applications using Silverlight. One of the approaches here is to remove the dependency between Model and View like MVVM does. This article does not implement MVVM, but instead shows how to build the model and view independent of each other. Abstract: Silverlight 4 is released and it comes with a whole set of new features. One of the new features added in Silverlight 4 is the support for printing. This was a much needed feature especially when creating business/enterprise applications. In this article, we will see how to use the printing API in Silverlight 4. Abstract: This article demonstrates how a binary encoded WCF service can be consumed in Silverlight 3.0 client for messaging optimization.